Microsoft to lure users to Windows 8.1 with a free version? And it comes with Bing! 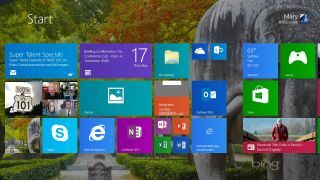 You may be able to pick up a free version of Windows 8.1 in the near future, as Microsoft is reportedly trying out a cut-down edition of the OS. Dubbed Windows 8.1 with Bing (and doesn't that sound enticing! ), the software will "bundle key Microsoft apps and services" according to The Verge and its sources. The idea is to make Windows 8.1 with Bing a free or very cheap upgrade for people using Windows 7, or as a cheap OS option for companies that make budget Windows PCs. There are also similar subsidised plans afoot for Windows Phone to encourage phone makers to target the lower end of the market. The endgame is to merge Windows Phone and Windows RT into a single OS that runs on ARM-based chipsets, although we're not expecting to be clued in on that until Build in April. Note that Windows 8.1 update 1 is now out and available for download.